The latest footage from Sony Bend's upcoming Days Gone offers new insight to the environments and areas in which players will be fighting to survive. 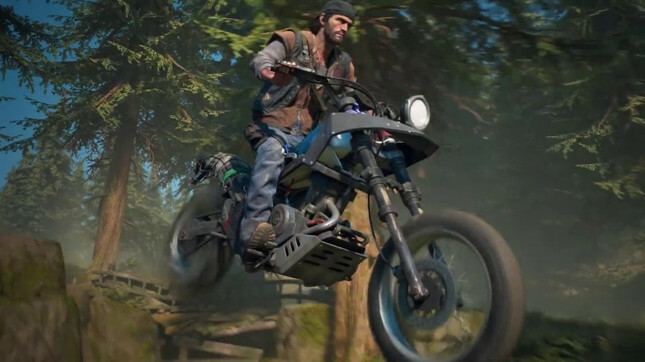 Days Gone creative director John Garvin described a dynamic world, with "landscapes that change quickly and dramatically, a living, breathing world — filled with things trying to kill you." It's still hard to shake the Last of Us vibes that Sony Bend has been up against since the game's announcement, but Farewell Wilderness does offer some great points of difference. On top of what looks like some great vehicle exploration, there's what seems like a never-ending horde of zombies that is sure to offer a unique form of combat and gameplay. 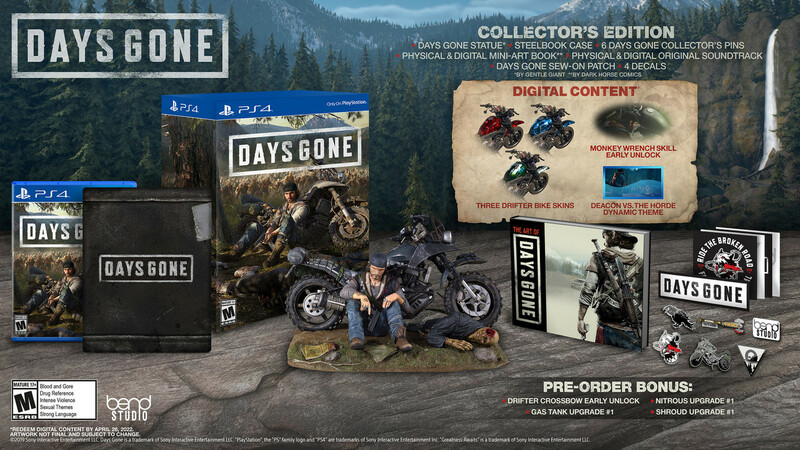 On top of revealing new Days Gone footage, Sony also announced the game's Collector's Edition. In addition to the game, those that purchase the collector's edition will also receive physical and digital versions of the soundtrack and an Art Book by Dark Horse Comics. There's also a Collector's Statue made by Gentle Giant, as well as a number of pins, decals and a Days Gone patch. Limited stock of the Days Gone Collector's Edition is available at Mighty Ape.